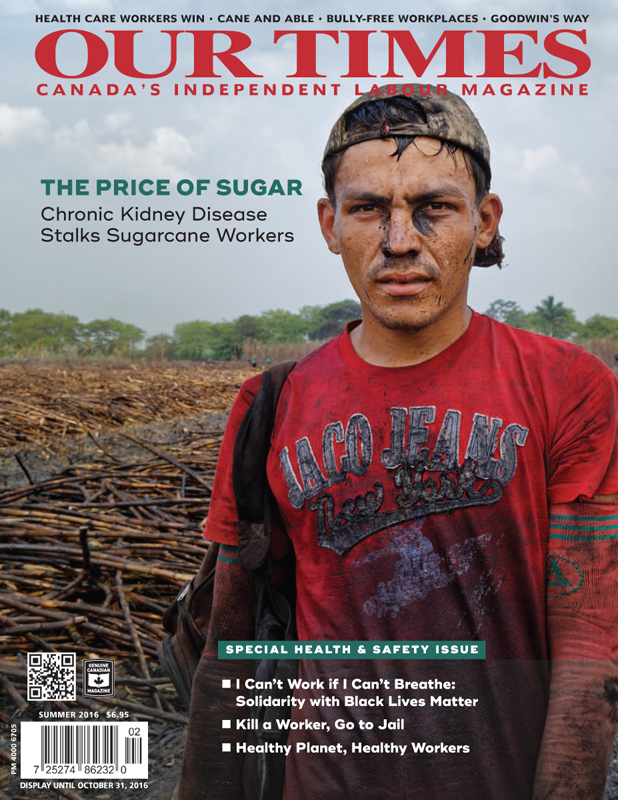 Thousands of sugar cane employees in Central America are working themselves to death, cutting stocks of cane under a beating sun for long hours and earning piecemeal wages. Chronic Kidney Disease has taken the lives of more than 20,000 workers in the region. Most of those who have died are men between the ages of 20 and 40. Roberto Valdivia worked for seven years in the sugarcane fields in Chichigalpa, along the northern Pacific coast of Nicaragua, before he was fired after contracting CKDnT. In an interview with Our Times magazine via Skype, the 34-year-old Valdivia says being unable to work has turned him into a labour activist. This entry was posted on July 15, 2016 at 2:52 am and is filed under News Articles. You can follow any responses to this entry through the RSS 2.0 feed. You can leave a response, or trackback from your own site.